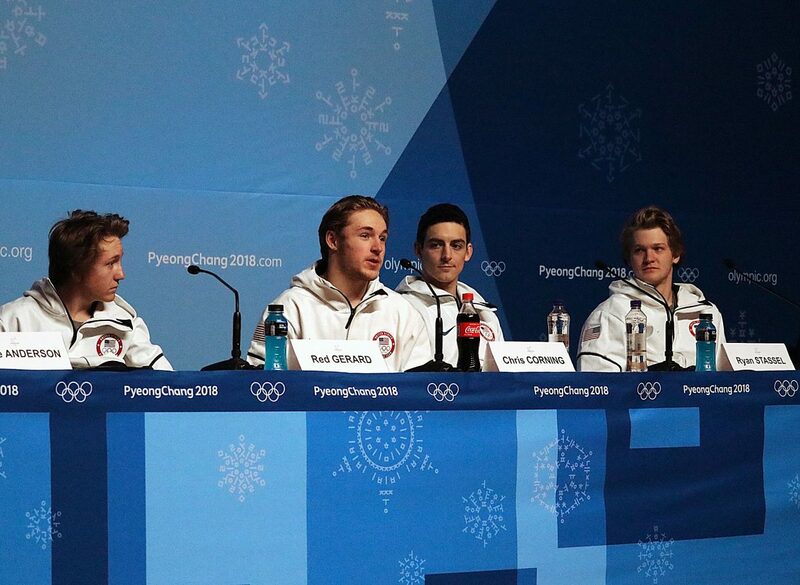 Slopestyle snowboarder Chris Corning, second from left, of Silverthorne, speaks at a news conference Tuesday, Feb. 6, at the Winter Olympics in Pyeongchang, South Korea. Sitting with Corning are teammates, from left, Red Gerard, Ryan Stassel and Kyle Mack. PYEONGCHANG, South Korea — Red Gerard, Chris Corning and Kyle Mack each came halfway around the world to try to win Olympic gold. But the only thing that may stand in the way is each other — neighbors from back home. 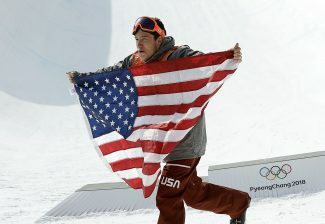 Gerard, Corning and Mack are three-quarters of the U.S. Olympic men’s slopestyle snowboarding team. All three call Silverthorne home — at least in the winter. Mack is from West Bloomfield, Michigan, which he lists as his official hometown. For a town of just 4,500 full-time residents, Silverthorne will be well represented when the men compete beginning Saturday, with finals Sunday. 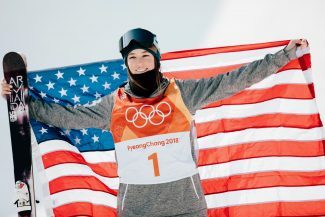 The three snowboarders have been mainstays on the podium through the Olympic qualifier events. 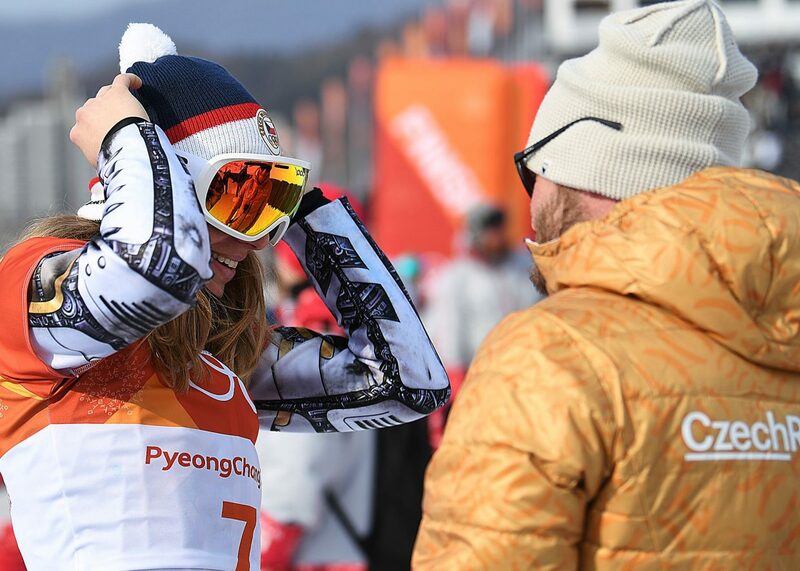 Mack, 20, won the Olympic-qualifier U.S. Grand Prix at Mammoth Mountain in California, while Gerard, 17, won qualifiers last season in Mammoth and again in Snowmass. Corning moved to Silverthorne three years ago from Arvada, where he grew up. Gerard was born in Ohio, but his family moved to their home in Silverthorne a decade ago. 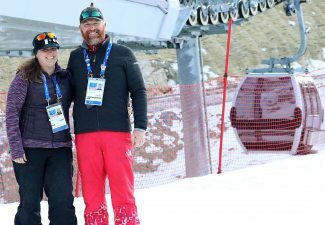 Mike Jankowski, U.S. Snowboarding and U.S. Freeskiing head freestyle coach, said living near Breckenridge Ski Resort, Keystone Resort and Copper Mountain Resort has given the three snowboarders amazing access to some of the best halfpipes and terrain parks in the world. “Those are hotbeds for sure, and those guys have those mountains in their backyards, and to be able to ride there every day has really shaped them,” he said. Gerard seemed completely at ease during a pre-competition press conference Tuesday. In fact, he was stifling yawns as he spoke to reporters from around the globe. “Sorry, jet lag,” he said, going on to describe how he didn’t grow up watching the Olympics — Dew Tour and X Games were more inspiring to him as he rose through the ranks. He said making the Olympics was a good bonus after the qualifiers over the last year. 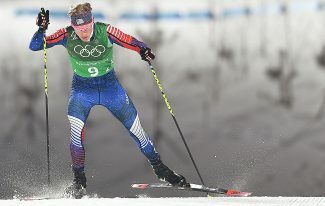 “It was never something that was like, the Olympics, I need to go to that,” he said. Even after arriving in Pyeongchang, Gerard said the enormity of the Olympics hasn’t struck him. Mack and Gerard, who are rooming together, passed on the opportunity for a first look at the course on Tuesday. Official practice begins Wednesday. The riders will have three rail sections followed by three jumps on the course at Phoenix Snow Park, where the freestyle events are being held. Gerard said he’s expecting some never-before-seen tricks when the competition gets under way this weekend. And does that include Gerard himself?